Mountain-size asteroid 2004 BL86 will pass in the vicinity of Earth on January 26, 2015. The space rock is roughly a third of a mile across. By comparison, most near-Earth asteroids have diameters no larger than 50 to 100 ft. But the asteroid is going by at a very safe distance of 745,000 miles. That’s about three times as far away as the Moon. 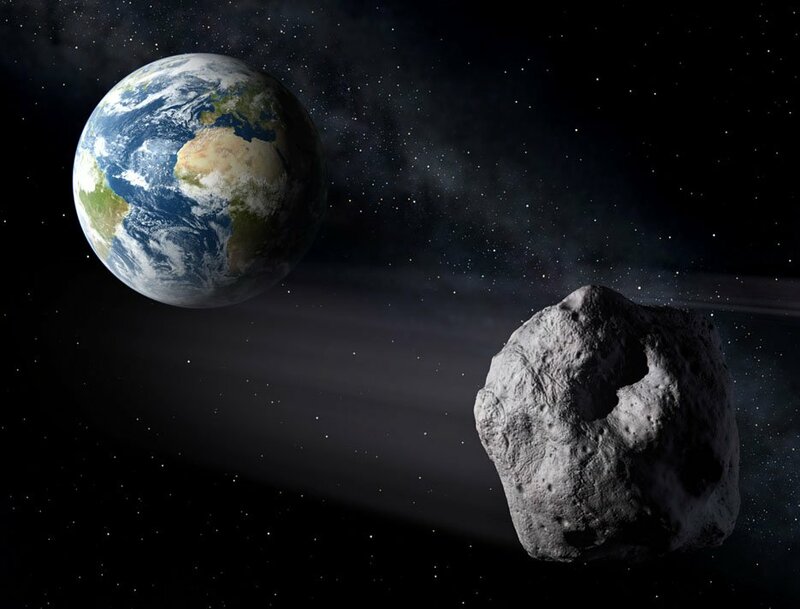 Asteroid 2004 BL86 is the largest known space rock predicted to come this close to Earth until 2027.Because it’s relatively large, 2004 BL86 will brighten rapidly as it approaches Earth. Astronomers predict it will become about 9th magnitude for several hours as it passes closest to us. This is still much too faint to be seen by eye, and it is beyond the reach of most binoculars. However, the asteroid should be bright enough to follow with a 3- or 4-inch-diameter telescope as it moves among the stars. Observers in the Americas, Europe, and Africa can track down the asteroid during its brightest time: from 8 p.m. EST on Monday evening, January 26, until about 1 a.m. EST on January 27. During this time 2004 BL86 will be heading northward through the dim constellation Cancer. It skims the eastern edge of a star cluster called the Beehive (or Messier 44) from about midnight to 12:30 a.m. EST. The asteroid’s closest approach to Earth actually occurs hours earlier, around 11 a.m. EST on the 26th. However, at that time it’s predicted to be somewhat dimmer, about magnitude 10, because Earth will see only a portion of its illuminated side. The asteroid brightens, despite the increasing distance, because we’re seeing its face become more fully illuminated. The space rock will be moving about 2.5° per hour while crossing Cancer. That’s fast enough that you’ll be able to see it moving in real time in a telescopic view whenever it passes close to a background star.